We thought it would be really interesting for people to know that there’s Indigenous people, you know, who live the traditional cultures but who are gay, lesbian, transgender, whatever label you want to give it. Last Tuesday the ABC program Artscape screened an edited, half-hour version of Bindi Cole, Andy Canny and Donna McCrum’s documentary film Sistagirl, and it was bloody brilliant. Don’t take my word for it, though: watch it here. 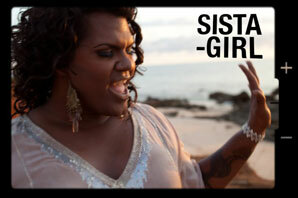 The term ‘Sistagirl’ is used to describe a transgender person in Tiwi Island culture. Traditionally, the term was ‘Yimpininni’. The very existence of the word provides some indication of the inclusive attitudes historically extended towards Aboriginal sexual minorities. Colonisation not only wiped out many indigenous people, it also had an impact on Aboriginal culture and understanding of sexual and gender expression. As Catholicism took hold and many traditions were lost, this term became a thing of the past. Yimpininni were once held in high regard as the nurturers within the family unit and tribe much like the Faafafine from Samoa. As the usage of the term vanished, tribes’ attitudes toward queer indigenous people began to resemble that of the western world and religious right. Even today many Sistergirls are excluded from their own tribes and suffer at the hands of others. Within a population of around 2500, there are approximately 50 ‘Sistagirls’ living on the Tiwi Islands. This community contains a complex range of dynamics including a hierarchy (a queen Sistergirl), politics, and a significant history of pride and shame. The Sistagirls are isolated yet thriving, unexplored territory with a beauty, strength and diversity to inspire and challenge. During August and September of 2009, I was fortunate enough to have the opportunity to spend a month living with the ‘Sistagirls’ on the Tiwi Islands creating a series of highly stylised portraits of them. I loaded a barge with a four wheel drive, lights, a generator, cameras and enough film to filll a suitcase. Each day brought an emotional roller coaster from moments of elation around what was being achieved with the images to complete anxiety from the many dramas that occurred. This time has affected me in a profound way. The ‘Sistagirls’ have touched my heart. I only hope that in some way I have captured the essence of who they are and the spirit of their community. I know that they will always be a part of me and that I will be a regular visitor to Tiwi to visit the ‘Sistagirl’ community for the rest of my life. The film threads together a remarkable number of stories in its short span. At the most straightforward level, it documents the shooting of the portraits with all the attendant heartbreak (Cole’s confusion over cultural protocols on the Islands) and hilarity (being chased around the footy oval by the onslaught of early morning sprinklers). It makes clear that the glitzy, drag extravaganza delivered in the photographs is not the norm for these women: the makeup, the gowns, and the wigs, all supplied by Cole, are a fantasy of a moment’s duration. But it is a fantasy that realizes and validates a dream. It brings glamour into the mundane struggle for a place in the world. We see the Sistagirls in their own, mutually supportive community, dressed in conventional skirts, sharing laughter and reminiscing about fear. We catch glimpses of moments where the solidarity is crazed: there’s clearly a bit of competition going on between Foxxy, who is Cole’s guide and docent in this new world, and Crystal Love, the “queen Sistagirl” who mothers the rest, offering philosophy that is warm-hearted, bitchy, parodic and knowing all at once. At the end, we get a tiny glimpse of the Sistagirls as members of the larger Tiwi community on Bathurst during a funeral ceremony for three of the number who have succumbed to the temptations of self-destruction in the face of loneliness and despair. In this respect, the documentary opens a window onto the Sistagirl’s world, but preserves their privacy as well, and lets us know there is much more to the story than we are permitted to see. There is Bindi Cole’s own story as well, interwoven gracefully with that of her subjects. Cole is red-haired, green-eyed, milky-skinned, the granddaughter of a Wathaurung woman who instilled a sense of Koori pride in the young girl who went on to become an accomplished photographer with a keen sense of Aboriginal identity, one that was repeatedly called into question by her appearance. 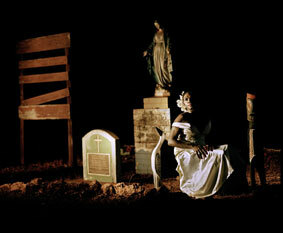 This sense of uncertain identity–or at least of an interrogated identity–is of course a foundation for Cole’s interest in the Sistagirls’ own disputed status as transgendered Tiwi people, belonging and not belonging, struggling to make the physical and the psychic adhere in the face of misunderstanding and contested association. Cole is on a journey to belonging; in her own quite different way, she is a Sistagirl too. And there are the photographs themselves that unite Bindi and the Sistagirls in the creation of something of beauty out of mundane reality. The photographs, like the Sistagirls’ community itself, are triumphant and complex. They blend the icons of Christianity and modernity with Tiwi traditions, the Virgin and the crucifix standing alongside Purukaparli and Tokwampini the honey-eater in Cole’s portrait of Laura, which was included in last year’s NATSIAA. They are self-aware post-modernist portraits with more than a little debt to the nineteenth-century stagings of J. W. Lindt’s Aboriginal vignettes. There are echoes of Monet’s waterlilies in some of the settings, images of seduction and domesticity, of saucy sexuality and demure grace. There is breathtaking color and light that is at once subtle and brilliant. In their very artistry they are as ingenious and as shrewd as their subjects. The full, hour-long film of Sistagirl will be shown in March at the Melbourne Queer Film Festival, and may yet show up on the ABC. Later this year Cole’s photographs will be exhibited at Brisbane’s Powerhouse and at the Perth Centre for Photography before arriving in the Top End in time for the Darwin Festival, where Cole promises to re-unite the Sistagirls with their portraits. However you get to experience Sistagirl, be prepared for beauty and terror, affirmation and sorrow, intelligence and snap. I dare you to be disappointed. This entry was posted in Art, Film and tagged Bindi Cole, Photography, Tiwi. Bookmark the permalink. I an wanting to see about getting a copy of Sistagirls to show at our Cairns and Townsville Queer Fiklm Festivals in 2012 .Can you help me ? 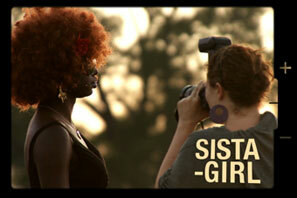 How can I get a copy to show in California to raise awareness of the sistergirls issues?